A closer look at the day's most notable stories with The National's Jonathon Gatehouse: Venezuela is desperately seeking markets for its resources; Canadian yellow vest protest movement's growing pains; since Crystal Papineau's death, her family has learned much about her life on the streets. Venezuelan President Nicolas Maduro is desperately seeking new markets for the country's oil and gold. 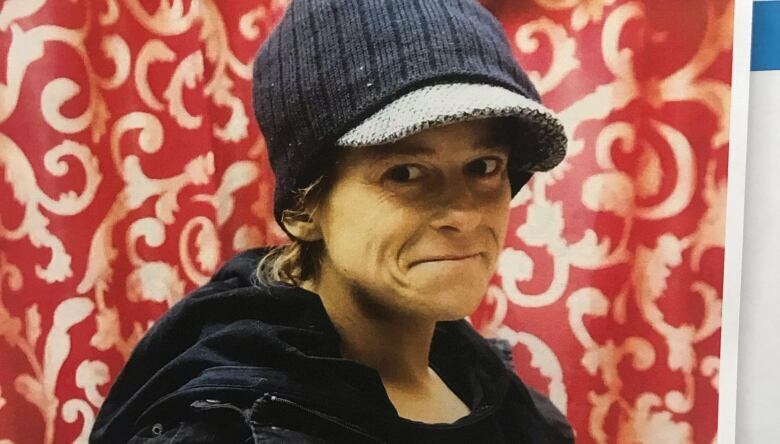 In the weeks since she died while trapped in a clothing donation bin, Crystal Papineau's family has learned much about her life and compassion on the streets. As U.S. sanctions begin to bite, embattled Venezuelan President Nicolas Maduro is in a desperate hunt for new markets for the country's oil and gold. Venezuela, which has the world's largest proven oil reserves, has seen its exports fall by almost 400,000 barrels a day since the Trump administration imposed sanctions on PDVSA, the state oil company, late last month. Manuel Quevedo, Maduro's oil minister, is in India this week — Venezuela's second-biggest oil customer after the U.S. — trying to persuade refiners to double their imports to 600,000 bpd. Venezuela, he said, would even be open to barter arrangements. 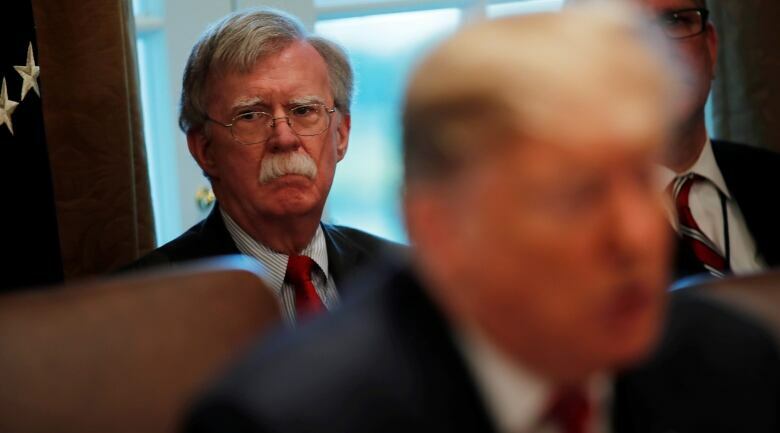 The trip has drawn the attention of the U.S. government, and a stern warning from John Bolton, Trump's hawkish national security adviser. "Nations and firms that support Maduro's theft of Venezuelan resources will not be forgotten," he tweeted yesterday. "The U.S. will continue to use all of its powers to preserve the Venezuelan people's assets, and we encourage all nations to work together to do the same." Maduro's government is also hoping to extend the loans-for-oil arrangements that have brought in tens of billions in cash from Russia and China over the past decade. Today, the Wall St. Journal reports that Chinese diplomats have been engaged in secret talks with Guaidó's representatives to try and ensure that the debt will be respected if power changes hands. The opposition estimates that more than 40 per cent of the country's gold reserves — somewhere in excess of 70 tonnes — were quietly flogged to buyers in the Middle East last year. In an interview with the BBC yesterday, the Venezuelan leader claimed that his country has 72 tonnes on deposit that "legally" belongs to his central bank, and that he would far prefer that to foreign aid. "They should send a convoy with the dollars they've stolen from us," Maduro said. "Let it come, the convoy of money, it's our money. With that we could solve our country's problems." The trade has sparked a gold rush in the jungles of southern Venezuela, with as many as 300,000 miners hacking holes in the ground. 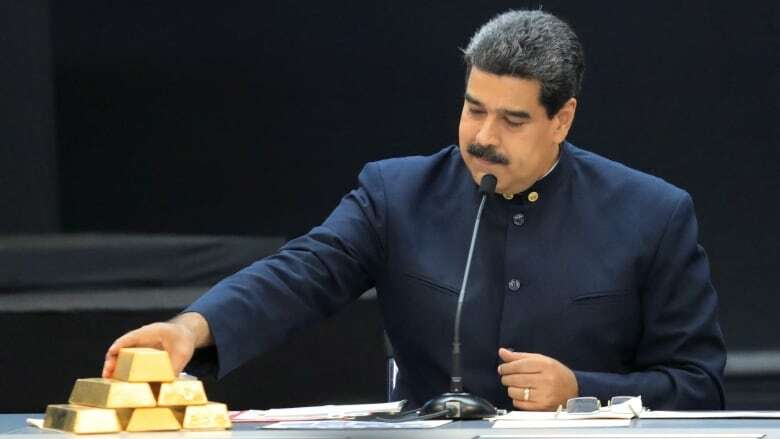 Reuters reports that Maduro's government has purchased 17 tonnes of gold from the small-scale operations since 2016, paying the workers in rapidly depreciating bolivars, then selling the precious metal abroad for $650 million in hard currency. It's hard to parse just how much damage Trump's new sanctions are doing to an economy that was already in free-fall. But like Maduro's decision to block foreign aid at the Colombian border, they surely aren't helping Venezuela's suffering citizens. "I do worry about the president's sabre-rattling," he said during a televised meeting on the Venezuelan crisis. "I want to make clear to our witnesses and to anyone else watching: U.S. military intervention is not an option." As he sees it, Glen Carritt's fire truck is responding to an emergency. And the call is 3,500 kilometres away. The Innisfail, Alta.-based business owner is heading to Ottawa, part of part of The United We Roll convoy of about 200 trucks he helped organize to send a message to the Trudeau government. "We need pipelines, we need our Canadian product to get to tidewater as well as the rest of the country," he told me in the garage of his oilfield fire protection business. Carritt considers himself a "yellow vester." The movement began in France to protest the government's economic policies, and it has been seized upon in Alberta and elsewhere in Canada. When Carritt and the convoy arrive on Parliament Hill next week, he'd like to deliver a message directly to the prime minister. "I would say, 'you need to get in touch with Canadians.'" Some are concerned that the yellow vest movement's core message is becoming lost, and that it's being hijacked by conspiracy theorists and the alt-right. One told us about the dangers of the UN's Global Pact on Migration, a non-binding set of principles agreed to by Canada around immigration: "That is the strategy of the left — they don't throw everything in at once, this is the first step and the next step will be ratification. Part of the pact is you can't criticize people coming in." Another explained that she believed we had no intention of covering the rally fairly. "You guys are biased, right? You are paid for by the government, which is our tax dollars, which is totally wrong. You either muddle the truth or leave parts out so it sounds different from what it is." "They are a distraction to the message," another man at the rally told us. "[What] we are trying to get out to Canada is that we need pipelines." The main Yellow Vest Facebook group was founded by Tyler Malenfant, for example, who has supported racist rhetoric in the past. Then there's the Canadian Infidels, which identifies with the yellow vest pipeline cause, but made headlines recently for showing up unannounced at a mosque. 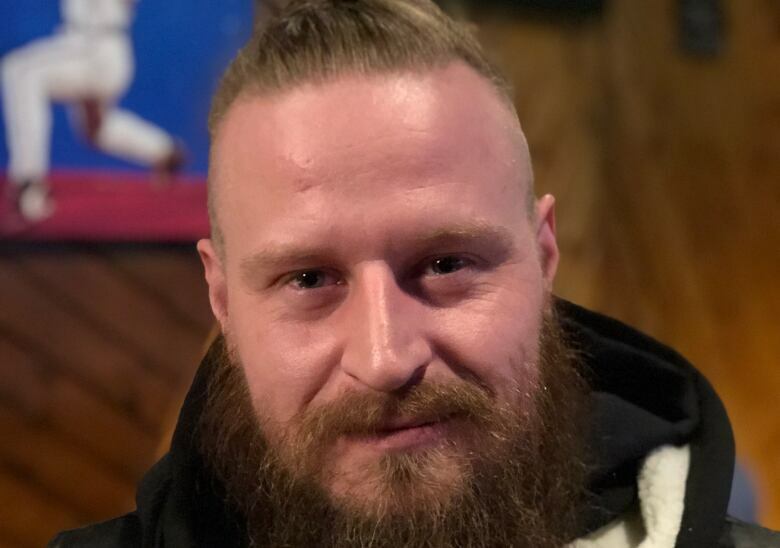 "We're not looking for any spotlight in the yellow vest movement, we're hoping it develops on its own with the convoy and that," Infidel president Ty Hunt told us. "What we are trying to do is add to it, like making contact with mosques." 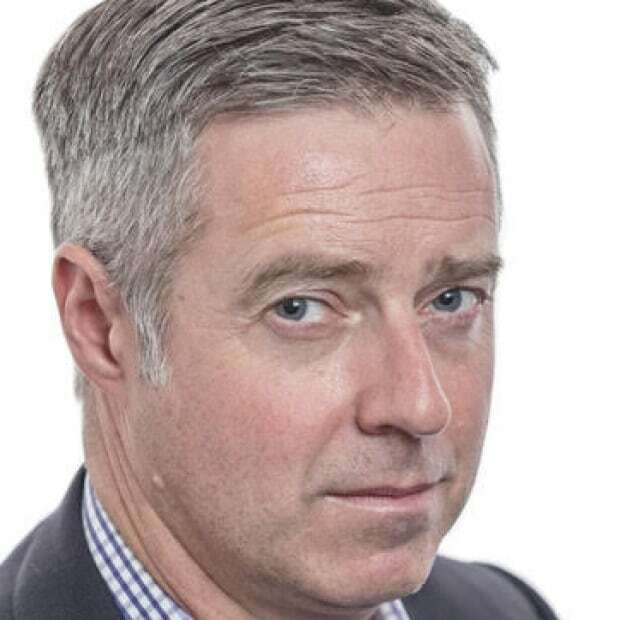 Glen Carritt takes issue with groups like the Infidels, but he's reticent to condemn anyone under the yellow vest umbrella. He does acknowledge there are many distractions, though. "The trouble with Facebook is you get these keyboard warriors, and they are causing problems for the group," he says. "It destroys the message." As his convoy sets out for the five-day journey to Ottawa tomorrow, he expects to pick up more protesters along the way. More will show up when they arrive. The question is who they'll be — and what the yellow vest movement means to them. In the weeks since her death, Crystal Papineau's family has learned much about her life, reporter Nick Purdon writes. Her father Gerald Kuno, who I visited last week at Crystal's childhood home near Ottawa, told me about the coroner's call to him to explain how the bin's metal jaws strangled his daughter. "The top came down, got her on the head, and the bottom one got her on the neck," Kuno says. "She suffocated in there. She was there long enough she was able to make a phone call, but by the time someone found her she was already dead. Eight minutes." Kuno says he hadn't heard anything from Crystal in two years. "You can't believe that she's gone, you know," he says. "Because we always got her calls — 'Hello, how are you? I am good,' or 'I am going to jail,' or 'I am in rehab,' or something. She always let us know what was going on. But she didn't want to come home." In the past weeks, Kuno and Crystal's stepmom Evelyn Simser haven't only learned the details of Crystal's terrible death. From the people closest to their daughter on the streets of Toronto, they've learned about the 35-year-old's life as well. "I learned that my daughter was loving and caring, and that's all I hoped her to be," Simser says. "She cared for other people, that's amazing. And she was strong." That's what she was doing the night she died. "I am so proud of her, that she was able to take care of herself," Simser says. "And what she's done for the other people." "People should know that the line has been crossed." 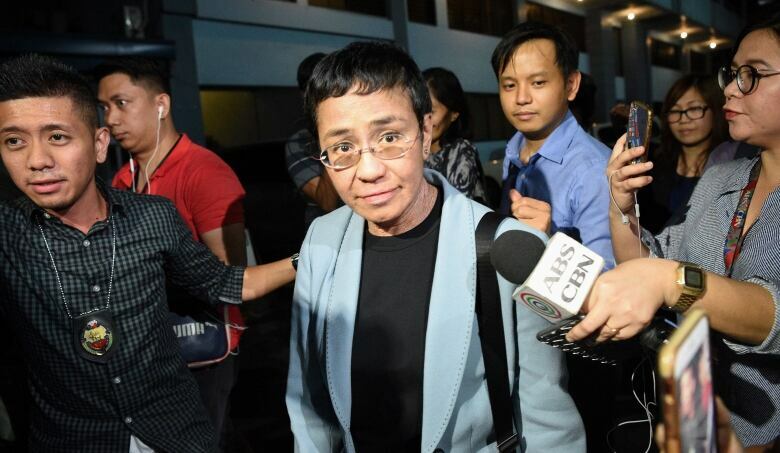 - Maria Ressa, the chief executive of Philippines-based news website Rappler that has been critical of President Rodrigo Duterte, reacts to her arrest today on a charge of "cyber libel." This two-way TV technology was still in its "experimental" phase, but it sure sounded like the future. Weather reports and sports scores available at any time, day or night. Plus the potential to do your banking, buy a movie ticket or read the latest Peanuts strip. There's even a mock-up page for electronic news. "It could drastically change newspapers as we know them," predicts a federal bureaucrat.